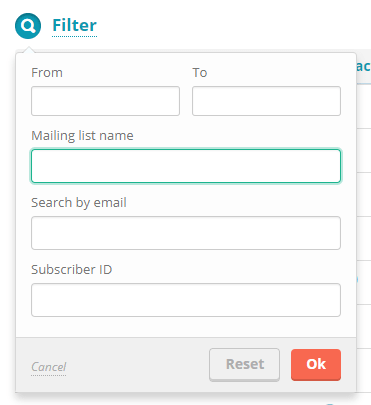 Filters are used to search contacts in your mailing lists. Filters can be applied to the whole database or to specific lists. 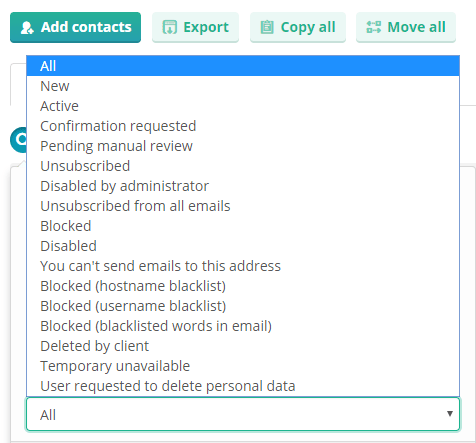 You can also delete contacts in bulk. Check the box located by the Email address to select all contacts on the page of the list. Then just click Delete. 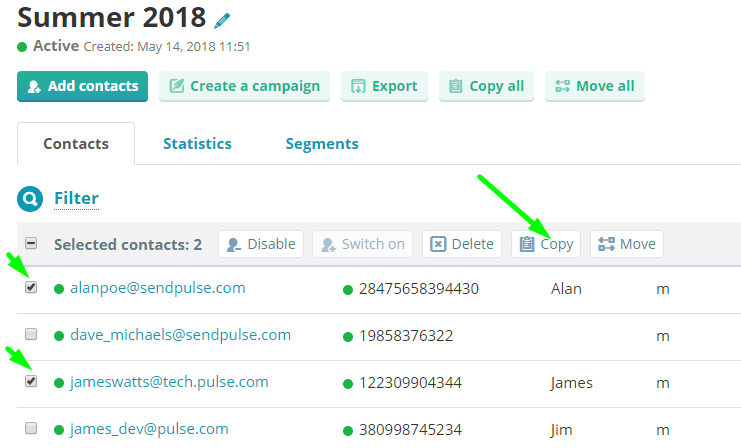 Tick the contacts you need to copy and click Copy. Then you will need to select a mailing list to copy the leads to. Two icons will appear: pen — to edit the variable mane and trash bin — to remove the variable from the list. Just pick the necessary option and confirm the action. 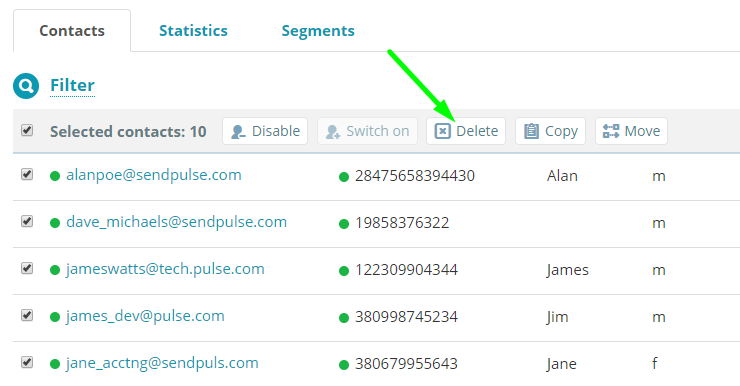 Use segmentation features to find leads duplicating in other mailing lists. 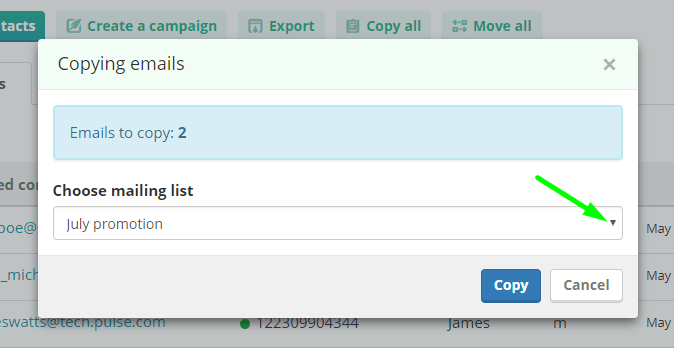 Now you need to move to the third box and select the mailing list you will be looking for the duplicates in. Basically, you will be comparing the target mailing list with other lists one by one. click Edit segment to select another list for duplicate search, or click Reset to go back to the original list. Rate this article about "Operations with mailing lists"